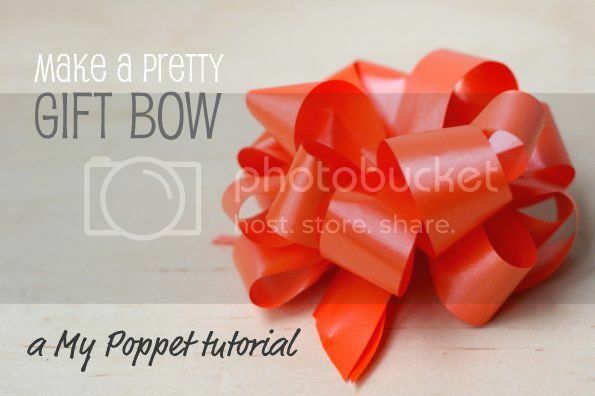 You're gifts will always look professionally wrapped when you add this pretty gift bow to it. I used to do a lot of gift wrapping when I had the store, and customers would always appreciate the extra effort I went to, but really it was not much effort at all. I'd make the bows up in advance between customers, then whip them out at a moments notice. My video tutorial explains the process really clearly, all you need to have on hand is a roll of Poly Ribbon (Florist Ribbon) and a pair of scissors. Hope you enjoyed the video, please leave any questions you have in the comment section below.